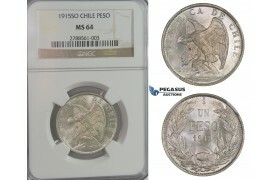 AA284, Chile, Peso 1876-SO, Santiago, Silver, Strong toning, VF-XF ..
AA524, Chile, Peso 1933-SO, Santiago, NGC MS63 ..
AA804, Chile, Medio Decimo 1856 So, Santiago, Silver, Lustrous VF-XF ..
D01, Chile, Peso 1915-SO, Silver, NGC MS64 ..
R562, Chile, 2 1/2 Centavos 1887/6-So, Santiago, NGC AU Det. 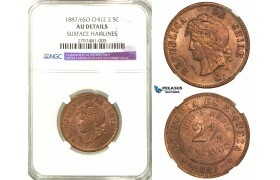 R562, Chile, 2 1/2 Centavos 1887/6-So, Santiago, NGC AU Det. 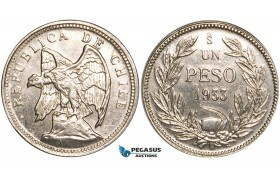 ..
V60, Chile, Pattern Peso in Nickel 1933-SO, Santiago, aUNC (Few handlings marks) Very Rare! 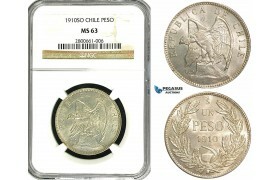 V60, Chile, Pattern Peso in Nickel 1933-SO, Santiago, aUNC (Few handlings marks) Very Rare! 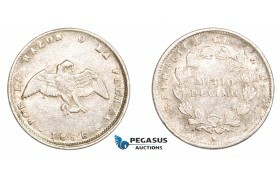 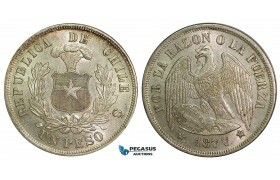 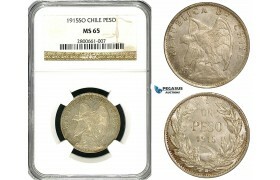 ..
ZA67, Chile, 1 Peso 1877-So, Santiago, Silver, AU-UNC with lustre! 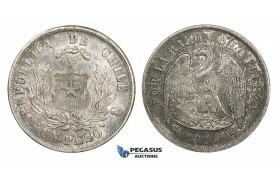 ZA67, Chile, 1 Peso 1877-So, Santiago, Silver, AU-UNC with lustre! 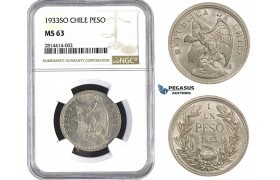 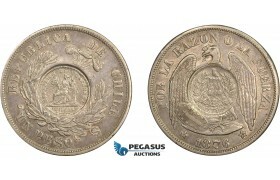 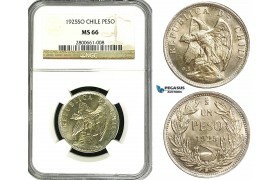 ..
ZB01, Chile, 1 Peso 1910-SO, Santiago, Silver, NGC MS63 ..
ZB02, Chile, 1 Peso 1915-SO, Santiago, Silver, NGC MS65 ..
ZB03, Chile, 1 Peso 1925-SO, Santiago, Silver, NGC MS66 (Pop 1/0, Finest) ..